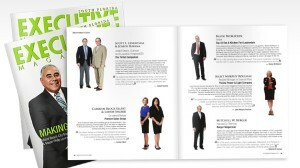 Executive South Florida Magazine Honors Premier Sales Group. Broward County is celebrating its 100th anniversary and things have never looked better. It has transformed itself from a beach town to a world-class destination with a strong arts and culture scene, lively convention center, active port, and expanding international airport. Its schools are improving at a rapid pace-21 of its high schools received a letter grade of A from the state. Community leaders continue to make education is a top priority. With an expected population growth from 1.9 million in 2015 to 2.1 million in 2025, it is clear Broward is no longer overshadowed by its big sister, Miami-Dade. 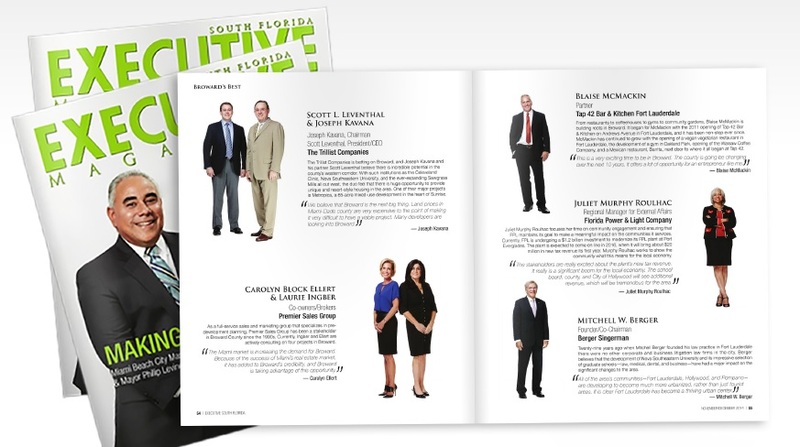 Showcased here are some of the individuals who are assisting Broward to be its best. As a full-service sales and marketing group that specializes in predevelopment planning, Premier Sales Group has been a stakeholder in Broward County since the 1990s. Currently, Ingber and Ellert are actively consulting on four projects in Broward.